No criminal action will be taken against police involved in the death of a man restrained by officers in a London psychiatric hospital. The Crown Prosecution Service (CPS) said there was insufficient evidence for a realistic prospect of conviction. 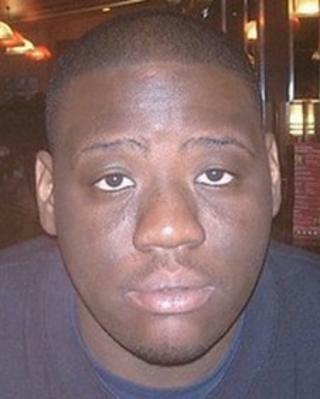 Olaseni (Seni) Lewis, who had mental health problems, was a patient at Bethlem Royal Hospital, in Beckenham. He was restrained three times, first by hospital staff and then by police, in the 45 minutes before his collapse. Mr Lewis, a 23-year-old IT graduate from Kingston University, never regained consciousness and died on 4 September 2010. Publishing its decision, the CPS said it had carefully considered evidence provided by the Independent Police Complaints Commission (IPCC) and an external review by a Queen's Counsel which was concluded in early 2013. It said there was insufficient evidence strikes with a police baton and the handcuffing of Mr Lewis were unreasonable or unlawful in the circumstances and the actions could not be considered as an offence of assault occasioning ABH, as defined by law. "It is important to remember the law entitles officers to restrain an individual until they achieve control," said the CPS statement. "The evidence of the hospital staff does not, on the whole, criticise the methods as excessive and there is considerable evidence as to Mr Lewis' strength and violence." The CPS said there was also not enough evidence to bring charges of misconduct in a public office against the officers but it would be up to the IPCC to decide whether to bring internal disciplinary proceedings. Raju Bhatt, of Bhatt Murphy, solicitors for Mr Lewis's family, said they were not surprised by the decision and they looked to the full inquest "to ensure that this matter receives the rigorous scrutiny that has been so signally absent over the last four-and-a-half years of prevarication and worse."